In keeping with Pipistrel’s tradition of continuing evolution, quality, high tech manufacturing and now most importantly a fantastic price, Pipistrel is proud to announce the release of our new aircraft, the Pipistrel ALPHA TRAINER. The name “Pipistrel ALPHA Trainer” describes the exact purpose of this exciting new aircraft designed for Light Sport Aircraft Flying Schools in markets and countries which have the FAA-LSA (or adaptation of ASTM rules) categories. The aircraft has been designed with the “essence of training” as its primary design goal; training has to start somewhere, just like the modern alphabet starts with the letter “A” this new aircraft bears the name ALPHA, the ALPHA Trainer to be exact. Times have been changing; we have noticed over the last several years that customers have evolved from basic entry level aircraft to more sophisticated glass everything with autopilot and every other conceivable addition. Great if you can afford it but with the economy the way it is most aircraft have been priced from the marketplace for the average person or flight school. In cooperation with Pipistrel we have developed an entirely new aircraft, a completely new approach to flight training and at a cost nearly half that of our competitors. Before we get into the amazingly affordable price let’s talk about some of the exciting features. The new ALPHA TRAINER is an aircraft which is affordable to acquire, it is economical to maintain and we believe no other LSA training aircraft is as cheap to run as the new Pipistrel ALPHA TRAINER with its frugal operating costs. And did I say affordable to operate ? Extensive market research and evaluation has given Pipistrel this wish list for the perfect training aircraft and we have really delivered, providing a fully optioned and approved training aircraft at a very reasonable cost with the lowest running costs in the industry. 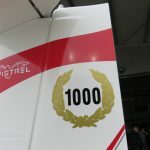 Who is Pipistrel some of you may be asking ? Pipistrel is the leading light aircraft manufacturer established in Europe for over 25 years, winner of the world air games, and winner of the NASA CAFÉ challenge 3 times in a row (including winner of $1.375 Million – the largest prize ever awarded for efficiency in flight) and you may even have heard about our aircraft flying around the globe without assistance. Pipistrel is not only the perfect choice for adventurers and advanced pilots but it is now the choice for the training market as well. Let’s look at the changes Pipistrel has made to the new ALPHA TRAINER model and the philosophy behind their changes. Undercarriage, the main undercarriage which is made of composite material is beefed up for a MTOW which yields a full fuel payload of nearly 500 pounds, it is strong and durable and capable of accepting the bad the landings made by new students. The new nose leg is 2 inches shorter lowering the nose and improving the visibility during taxi. Propeller clearance is not sacrificed because the Pipistrel ALPHA TRAINER uses a smaller 63” diameter fixed pitch propeller. The Pipistrel ALPHA TRAINER aircraft has a new 13.2 gallon (50 l) fuel tank. 13.2 gallons does not sound like much when you are talking about conventional aircraft, but Pipistrel is not a conventional aircraft. In reality 13.2 gallons is more than enough for the ALPHA TRAINER. The fuel tank now has a large opening which means it can be filled directly from fast flow avgas pumps which are at the large majority of our airfields. (It is still however our recommendation to run ethanol-free auto fuel as per Rotax recommendations for the maximum engine life and the obvious cost savings.) The 13.2 gallon capacity will give the Pipistrel ALPHA TRAINER aircraft around 380 miles range with reserves at normal cruise speeds of just under 110 knots. In the training role doing circuits the aircraft will be using less than 2.5 gallons per hour, effectively giving you 5 hours endurance from just 13.2 gallons of fuel. The Pipistrel ALPHA TRAINER is fitted with the ever reliable Rotax 80 hp engine. While some may question whether 80 hp is enough, those familiar with Pipistrel know that our designs maximize performance on minimum power. In fact until recently Pipistrel aircraft were only supplied with the Rotax 80 hp engine, this was enough for well over 1000 fpm climb rate at maximum weight and cruise speeds of 125 in the ALPHA’S sister aircraft the Pipistrel Virus. The Pipistrel ALPHA TRAINER has a slower cruise of 108 knots because it’s designed to fit in the LSA category but it will still achieve the same exciting climb rates. The Rotax 80 hp engine is an ideal choice for a training aircraft, it is smooth and reliable, it is frugal with the fuel and the 2000 hour/15 year TBO is easily achievable. The Pipistrel ALPHA TRAINER is manufactured from state-of-the-art composites and has an empty weight 100 pounds less than most competitors’ aircraft. This is one of the reasons why the Pipistrel ALPHA TRAINER can offer such good performance and economy. Durability in the training market requires careful planning, for this reason Pipistrel have chosen to supply the Pipistrel ALPHA TRAINER with extra heavy-duty seat fabric, the wheel spats are also removed from this aircraft meaning it’s impossible for a student to break them getting in and out and in the unlikely event of a puncture the wheel can be replaced in around 2 minutes, again design features helping to keep the Pipistrel ALPHA TRAINER in the air and earning you money rather than being in the repair shop. The Pipistrel ALPHA TRAINER has a new wing design based on the already successful and proven Pipistrel Virus SW aircraft. With the redesigned wing the aircraft does not require airbrakes to land, further simplifying the cockpit controls for students. The new wings feature redesigned flaperons which now have 25° of flap travel making short field landings a breeze. The new propeller for the Pipistrel ALPHA TRAINER is Pipistrel’s own design, CNC machined in house it’s manufactured from wood and is then protected in a composite covering including leading edge protection which is then painted. Being a wooden propeller there is very little vibration which contributes towards the smooth running of the aircraft, a composite covering makes a propeller very durable offering years of use in a normal training environment. 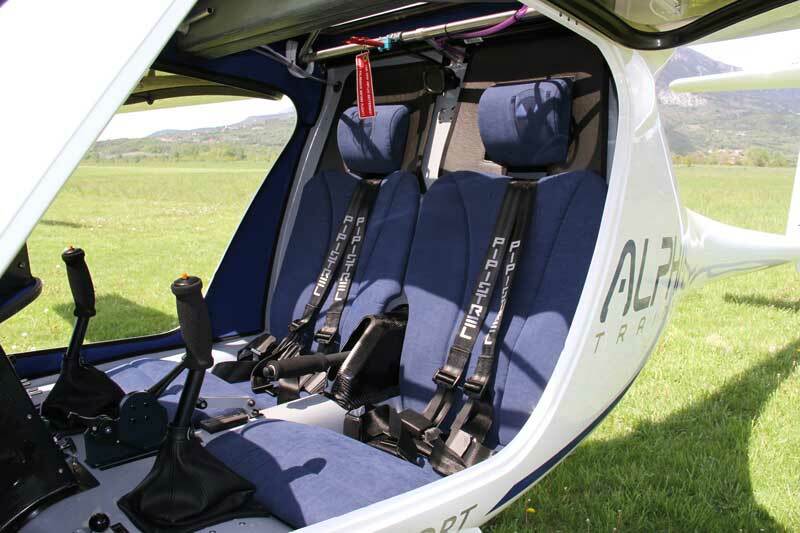 The Pipistrel ALPHA TRAINER has a luggage rack for storage of tie downs and ropes, water bottles, first aid kit and other accessories; access to the storage area is through the cockpit seats which fold forward to offer easy and unrestricted access. There are also two large pockets on the sides of the instrument panel, ideal for storing maps and water bottles during flight. The brakes have been redesigned and simplified for the Pipistrel ALPHA TRAINER offering exceptional braking performance on even short airfields. The directly steerable nose wheel can easily turn the aircraft on a dime and the brake shoes can be replaced in less than 15 minutes keeping your maintenance cost down. The price may be inexpensive but we have not spared any of the Pipistrel ALPHA TRAINER options. Features… Yes there are plenty. Looking at the features, quality, performance, and economy, the new Pipistrel ALPHA TRAINER represents the best value in a composite LSA for the training market. Working widely with several finance companies and business planers we have developed a complete turnkey solution for a start-up training school business, or for an existing training school looking to modernize the fleet while cutting current operating costs in half. Are you looking to improve the return on investment for your flight school? The Pipistrel ALPHA TRAINER may be the perfect solution. landing distance over 50 ft obst. Can I do aerobatics, spins in the Pipistrel ALPHA Trainer? 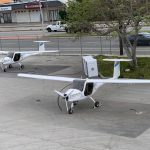 The Pipistrel ALPHA Trainer design follows the strictest EASA CS-22, CS-VLA and CS-23 (sections) certification standards, as well as their FAA FAR counterparts and the ASTM standards for LSA aircraft. More than six months of ground, structural and vibration tests went by without a glitch, followed by an extensive flight test program with more than 100 hours of cumulative tests. The Pipistrel ALPHA Trainer aircraft was designed for the training market but still offers exceptional and sprightly performance. The aircraft is however not suitable for aerobatics, despite the +4 G, -2 G allowable loads. Pipistrel cannot prevent people doing aerobatic maneuvers in the Pipistrel ALPHA Trainer, but we do not approve it – the reason is in aerodynamics. The Pipistrel ALPHA Trainer has so little drag that it picks up speed MUCH quicker than other aircraft with little drag. This can be dangerous in aerobatic maneuvers (also spins, which are completely recoverable) and an average pilot can very quickly overstress the airframe because of VNE in a steep dive in just 5 seconds! If the customer approaches you because he wants an aircraft for aerobatics, you as the distributor/promoter can clearly say that this is not the aircraft he/she wants. The paint used on the Pipistrel ALPHA Trainer is a special acrylic based pigment, which is applied to the molds during the manufacturing process. Pipistrel aeroplanes are not after-painted like many other aeroplanes – instead, paint is applied onto/into the structure while molding. This makes the paint much more durable and resistant to UV light and environmental contaminants. Recommendations for care and cleaning of the aircraft can be found in the Flight manual and Maintenance manual, section Handling and Maintenance, chapter, keeping your aircraft in perfect shape. Standard wheels have large 4-ply tires, which are adequate for use on grass/gravel and light use on hard (asphalt, tarmac, etc.) runways. If you anticipate using the aircraft on asphalt only, consider ordering six or eight ply tires which will last much longer. Pipistrel offers tires with 4, 6, 8 or 10 ply’s, additionally, tires are available from companies like Aircraft Spruce who offer overnight US delivery at very reasonable pricing. The Pipistrel ALPHA Trainer aircraft is certified and approved in the LSA category (in the USA) the aircraft would also qualify for certification approvals in other countries. The upholstery offered with the Pipistrel ALPHA Trainer is very durable fabric which has been offered by Pipistrel with all of their aircraft since 1995. This upholstery matches the seats, firewall, carpet and also wing spar cover which is now offered as a standard option. True to Pipistrel performance, all data published for the Pipistrel ALPHA Trainer is accurate and acquired from flight testing. Please note that the data is published for the take-off mass of 550 kg and ISA Sea Level conditions. Based on experience, you can for a hot summer day expect the cruise speed figures to be a maximum 10 km/h (5 kts) less than those in ISA Sea Level and take-off performance degraded by maximum 20%. Further information about aircraft performance in hot conditions and on grass runways is also included in the flight manual. The Pipistrel ALPHA Trainer contains a solid luggage compartment behind the seats which is easily accessible in the cockpit. The baggage allowance varies depending on the fuel quantity in the aircraft. The Pipistrel ALPHA Trainer has not been designed as a touring aircraft but as a training aircraft, there is more than enough room however for an overnight bag, limited spares, tie downs etc. The recommended maximum full fuel weight in the luggage area is 22 pounds although the aircraft can carry up to 55 pounds with reduced fuel capacity. This baggage allowance is additional to the ballistic parachute which is installed as standard. Is it possible to have Rotax 100 hp or 914 Turbo engine? No. The Pipistrel ALPHA Trainer has been designed as a training aircraft and the 80 hp engine is more than adequate for operations at the maximum takeoff weight. Typically at maximum takeoff weight the aircraft will still climb at 800 fpm. 100 hp would be overpowered in the Pipistrel ALPHA Trainer aircraft. Can I have an in-flight adjustable or feathering propeller? No, the Pipistrel ALPHA Trainer is only offered with a fixed pitch propeller, it is designed as a training aircraft and not as a glider. Can I fit airbrakes or spoilers? No, the Pipistrel ALPHA Trainer is not available with airbrakes as an option. Can I get a larger fuel tank? No, the fuel tank capacity is fixed. Can I use fuel with ethanol? Yes, the fuel tank and the fuel lines are protected for ethanol up to 10% which is the current limit set by Rotax. Can I change the instruments? No, to keep the cost of the Pipistrel ALPHA Trainer as low as possible the aircraft is only available in a set instrument configuration. 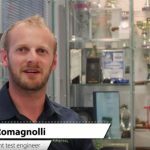 What is the Pipistrel Alpha Trainer warranty? The warranty on Pipistrel aircraft is 12 months or 100 hours whichever comes earlier. The airframe is covered by Pipistrel, the engine is covered by Rotax International warranty and individual warranties are carried by the instrument and avionics manufacturers. A full copy of the warranty conditions is available on request.